In 2012, the renowned 7th Circuit judge and intellectual property scholar Richard Posner poured a bucket of cold water on the absurd patent lawsuits engulfing the mobile phone industry. In a remarkable decision, Posner told Apple(s aapl) and Google-owned Motorola(s goog) to pack up their lawyers and their damages expert and go home — there was no point to have a trial, he said, because neither side could show they had been harmed. It was a worth a try. Alas, on Friday, the U.S. Court of Appeals for the Federal Circuit reversed nearly every element of Posner’s decision and gave the green light to Apple and Google to shovel more money at lawyers and experts, and start all over again. The decision, embedded below, is a dry 99-page treatise about claim construction, presumptions and other arcana of the patent system. It faults Posner for wrongly interpreting patent claims (over “tap” and “swipe” gestures) and the rules of expert evidence, while also weighing in on when injunctions are available in the case of so-called FRAND patents. Instead of addressing Posner’s challenge directly, the appeals court instead dives deep into legal pedantry and turf-guarding: it quibbles at length over recondite rules, but never addresses the larger questions of efficiency and incentives that hat the patent system is supposed to regulate. Unfortunately, the Federal Circuit appears uninterested in enriching its own opinions with the likes of Posner, a noted scholar in both intellectual property, and law and economics. Earlier this year, the court likewise rebuffed another famous judge, who is also well-versed in IP issues — it reversed Judge Alex Kozinski of the 9th Circuit, declaring that he had failed to understand patents directed at Google’s StreetView. Ultimately, the Federal Circuit’s reluctance to hear from other judges can only add to its reputation as a “rogue” court intent on using a pro-patent bias to protect its own institutional prestige. If there’s a silver-lining in any of this, it’s that the Supreme Court appears just as fed-up as Posner with the run-amok patent system. In recent years, the top court has issued a series of unanimous rulings overturning the Federal Circuit, and is poised to smack it down again in the field of software patents. The Supreme Court may ultimately provide some relief to the patent plague. In the meantime, Congress should consider stepping in to strip the Federal Circuit’s power over patents and bring relief to the consumers who ultimately pay for nonsense patent lawsuits in the form of higher product prices. You know. Mr. Roberts, the world really doesn’t need to hear from writers with agendas and an axe to grind. We don’t care what you think. How about just reporting factual information and leaving us to make up our own minds about right and wrong. HDboy, you seem grouchy so I’ll just point out that I included a copy of the decision so that readers who want to know more can get all the information they need..
My wife and I came up with this idea CALLED SMART JULY 2 2012 not apple or shop kick who I spoke to that same month & they were having trouble with no one hearing there noise. Multi-tier application for passive, bi-directional, close proximity transfer of targeted information and use of collected demographic and behavioral data is disclosed. This product allows for passive connectivity while delivering customer and merchant/subscribing entity defined dynamic content and demographics. Additionally, it builds a “user identity” based upon mobile user habits that allows marketing content and information to align with what a mobile user wants. The application will have the ability to change from Bluetooth to Wi-Fi or OTA Data without interruption of service. The application will also store current offers so that the user has the opportunity to take advantage of offers at a later date. The application will be passive as it will be launched automatically, upon the onsite server recognizing and matching the Bluetooth address and pairing with the mobile device. This application will have the ability to offer demographic data to the server, and simultaneously offer real time information to the mobile application user. Content could include coupons, information, links, maps, lists, calendars, etc. Do you wonder why apple would trademark an idea so big, itâ€™s because my idea went Patent Pending October 23, 2012. And then someone ____ my idea and the next thing I know Macys, APPLE, SHOPKICK receives the information. I know my invention predates first-to-file laws and fits with FIRST TO INVENT. It’s pretty clear from the comments that the pro-NPE crowd has been mobilized to come sow their comments of discord here. It doesn’t matter how many wolves bray loudly that they are just misunderstood darker sheep. We still get it and they’re still dangerous. And they need to be put down. You get what, exactly? Pronouns before nouns always lead to confusion of ideas. I’m not pro-NPE. I’m pro-inventor, and therefore support the protection afforded to inventors via patents. Have to agree with dk, this is a puff piece glorifying Posner who decided that tech patents should be worthless. You seem to agree. I don’t. I think there is a reason they exist, to protect the investment that hardworking people put into their work. 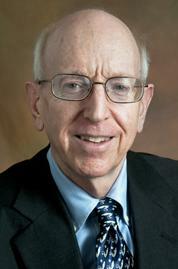 Posner has said he doesn’t think any software should be patented. To me this seems absurd and completely lacking in understanding of how technology is actually developed. CW and Mike, I welcome your comments but, come on, I think you should at least address the substance of my piece. You can’t simply claim that these patents “protect hard-working people.” Hard working lawyers perhaps, but it’s hard to fathom how they are promoting innovation, and how society is a net winner from this sort of litigation. Also, out of curiosity, what is it you two do for a living? But patents do protect hard-working people. My profession: I am an inventor and am one of these hardworking people. My patents are to protect my business and my products from being stolen by the bigger fish. For this reason, and because you continue to fail to see patent protection from this side of the fence, I stand by my claim that your articles are tainted and do not represent the full picture. Patents are doing what they are set out to do – protect ideas and preserve the innovative spirit that allows people like me to invent with less fear that a bigger shark will come eat my meal (or me, for that matter). Now, with regard to your stated position on patent trolls (as seen in your previous artciles), trolls are not the historical source of the problem. The problem is infringers, and it began by financially empowered corporations who, rather than settle or license what is rightfully owner by a patent holder, throw endless dollars at attorneys in order to ultimately drain inventors to where they cannot protect the IP rights endowed to them. Pooling patents together and fighting back is a valid, logical recourse, and, honestly, it keeps the patent system in check. Without this type of patent assertion, corporations would just run wild, infringing on patents with no fear of having to pay to license another’s IP. There is clearly an ambiguity with the meaning of ‘public interest’. Is it merely the utility of consumers that is of interest, or does intellectual property have a right to be protected regardless of the impact on utility? “…itâ€™s hard to fathom how [patents] are promoting innovation, and how society is a net winner from this sort of litigation”. Pray tell me, when was “society” ever listed as one of the plaintiffs or defendants? Out of curiosity, Jeff, are you a socialist? Obviously, the real harm from this ruling was that it would reduce the amount of money patent lawyers would earn from patent lawsuits, therefore it must be overturned. SO the FedCir did their job then? You do know that the ” claim construction, presumptions and other arcana of the patent system” is exactly what the court is supposed to be doing. So sorry they failed to provide you with an entertaining opinion while doing their job. How rude! You call Posner’s decision remarkable, but completely fail to realize that he oversteps his bounds as a trial court judge in tossing the case out improperly and goes off on a tangent that has nothing to do with the claims and issues over which the parties were arguing in making his ruling. Why are you perfectly OK with a judge ignoring his duty to the court? Is it because the parties that are arguing are multi-billion dollar corporations? Why do you find these smartphone patents to be silly? And what is that public interest that you just quoted without explaining? Real question: do you actually get paid to do this? Or is this a hobby? Thanks for your comment, dk. In responding to you, it would be helpful to know where you’re coming from — are you a patent litigator? Do you work for a NPE or a patent broker? I stand by my position that the Federal Circuit is NOT doing its job. If it was, it wouldn’t be reversed time and again by the Supreme Court. And one would think the court would do Judge Posner — who is a towering jurist and scholar — the courtesy of responding to his “public interest” argument. More broadly, you don’t address my larger policy argument, which is that patents are a means to an end — promoting innovation — and not, as the Federal Circuit has treated them, as an end in themselves. The court has elected to fetishize its internal epistemology over common sense (I urge you to check out Tim Lee’s “rogue” court piece that I link to above). Uhm, #YuccaMountain comes to mind, in my experience, its best to have the Supreme Court weigh-in BEFORE we start asking Congress or even the President (via Executive Order) to make any adjustments. Because, ultimately, you are correct, the Supreme Court will be the decider of the legal issues, and implementing a plan that is not in alignment with common law, would likely be a waste of time. It is the lawyers that need to COUNSEL their clients what is and is not frivolous to assert in a court of law. but then, how would the lawyers make their share of the pie?! sigh, what a mess.